j.a. kazimer is proud to announce the pending release of The Body Dwellers, an urban fantasy/paranormal romance published by Solstice Publishing. 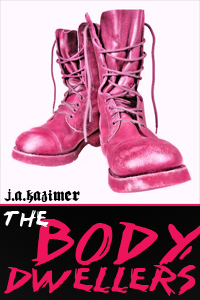 The release date is March 1, 2011 and you can find more info at the author's website: http://www.jakazimer.com. I considered writing an autobiographical children’s book for years before I finally sat down and actually wrote one. Solstice Publishing released my first children's book this week, The Mystery of Spider Mountain, and I’m well into the second book of the Hamilton Kids' mystery series. Fiction is rooted in fact and my three protagonists spent their formative years at the foot of a large hill in southern California, as I did with four younger brothers. Because the hill was inhabited by trap door spiders and an occasional tarantula that had arrived on a banana boat from Central America, I called it Spider Mountain. My brothers and I were close in age and explored our "mountain" together. The apron was filled with tall, blue lupines which bloomed nearly year round, and halfway up the hill was Dead Man’s Tree. We called it that because a thick knotted rope hung from a limb that we swung on. At the end was a large loop. That prompted stories about horse thieves which we imagined had been hanged there. A dirt road encircled the hill at three levels but was so chocked with rocks and clumps of weeds that even a bicycle would have had difficult passage. So we wondered how the people who lived at the summit were able to reach their home, and imagined everything from rock climbers to space ships and helicopters, although we’d never heard one in the area. When I was twelve and old enough to babysit brothers who were nearly my own size, we climbed our mountain to spy on the mysterious house. What we found was a chain link fence restraining four large vicious-appearing dogs with mouths large enough to swallow a child. Or so we thought. It didn’t take us long to scramble back down the hill to our own house. And, of course, we never told our parents. When I began to write, I wondered again who those people were and how they arrived at their hilltop home. The house itself was a mystery but I had to decide what kind of crime(s) the residents of the house had committed. And how the Hamilton kids would be able to bring them to justice. I then thought of the Ouija board we used to play with. That’s when the spirit Bagnomi materialized and talked to the kids via the board. My four brothers had to be reduced to two to make the story manageable. Even so, they were as unmanageable as my own brothers had been, so their widowed grandmother came to live with them—as ours had done. However, our grandmother didn’t have bright red curly hair like Ronald McDonald, and wasn’t interested in finding a husband. Even children’s books need humor and the Hamilton Kids’ grandmother provides that and more, along with an adopted Australian Shepherd with a penchant for chewing furniture. Writing for children has opened a new vista which I hope my young readers will enjoy as much as I enjoyed the writing. I'm well into the second novel in the series, The Ghost of Crimson Dawn, which takes place in Wyoming, where the Hamilton Kids visit their Uncle Harry at his mountaintop ranch. There's a bit of autobiographical plotting in that book as well. Have you ever wondered where a writer obtains historical information or interviews? I began writing regional history long before the advent of the Internet as a feature writer for a weekly newspaper. Searching for the same facts today is much easier if we’re computer literate. Yet nothing beats contact with the people who have stories to share. During the nine years I wrote for the newspaper, I must have interviewed hundreds of people. 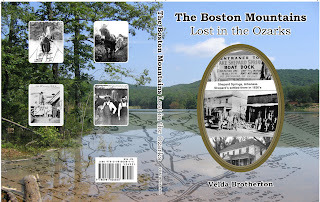 My main interest soon became the history of the area where I lived and worked. The editor gave me a page where I began an historical column which I’ve written in one form or another for twenty years. So I must modestly say that I’ve gotten pretty good at getting information out of people. The first thing I learned was to write stories about the people who lived our history. It’s pretty easy to look up a bunch of facts, dates and place names and the like and put them down. Not so easy to tell the stories that will keep your readers coming back for more. So once a writer hears or reads about a specific happening, the next step is to find someone whose family history includes stories of that event. 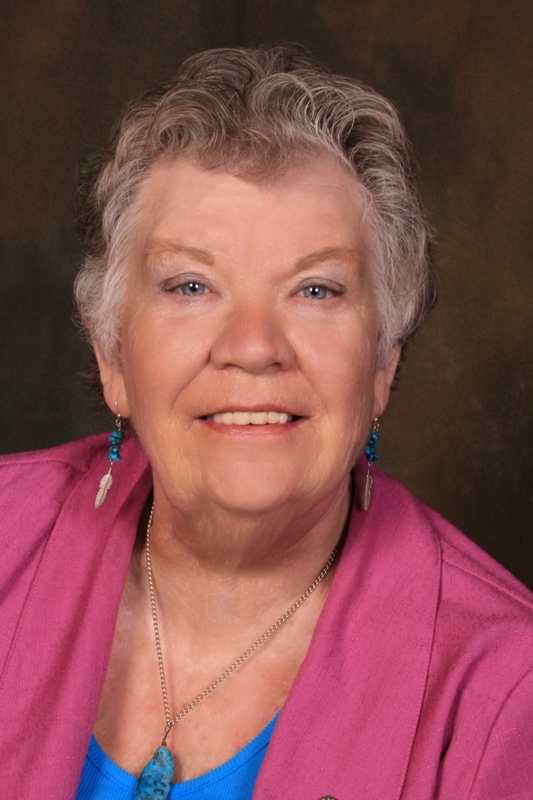 Take the lady who, when we talked about the Battle of Prairie Grove during the Civil War here in Arkansas, immediately remembered that her great-grandmother had told a story that from where they lived it sounded just like popcorn popping. She also told of a man who lived in a cave to keep from having to serve in the war, so he could care for his family who lived nearby. Such stories lend color to any tale about that battle. For years I saved many interviews in the hopes the stories could one day be put into a book. And when that day finally came I learned that having those stories simply wasn’t enough. I had to revisit all the places where my stories took place. Ten to twenty years can bring about a lot of change. So one entire summer my husband and I drove through four surrounding counties taking photographs that could be compared with old pictures we had and talking to folks in all the little settlements. I wanted some new stories that had never been published in any form. It’s indeed handy to become a good hand at photography. Taking pictures isn’t enough, we have to learn composition as well. In today’s world with digital cameras, much of the work is done for us and what doesn’t work can usually be fixed in the computer. In my day, we took black and white photos that were then screened and developed in the dark room. I learned about composing my shots, focusing, using the proper f stops and watching for shadows that could ruin an otherwise good photo. Whether using film or a digital camera, it’s a good idea to take plenty of shots of your subject, for what looks okay on the small camera screen may not be so great when viewed the way it will appear in your book. After we spent about four months traveling the area and recording stories, I realized that not all research can be done in the field. A lot of research was done by poring through old books, periodicals, historical quarterlies and the like. The Internet often can’t compete with some of these written words. Next time some hints on finding reliable information to back up your stories, both online and at the library. 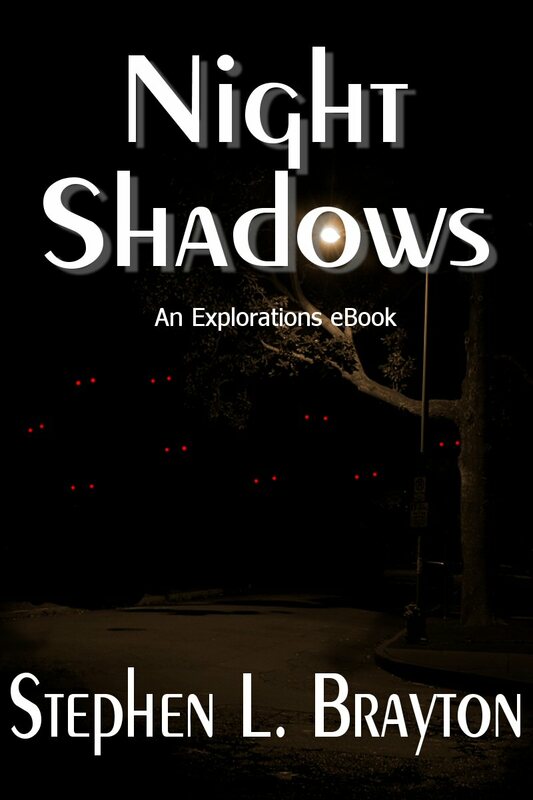 Stephen L. Brayton is proud to announce the February 15, 2011 release of Night Shadows. ﻿ This oft misquoted phrase was brought to mind this morning when I accidentally put my radio away after setting out the morning breakfast at work. I like to write with low playing background music. I also will have music on the TV playing when I'm typing the longhand pages into the actual novel file. There is a scene in my upcoming novel, Beta, where Mallory visits the home of the father of the kidnapped girl. She passes by the rock station in Des Moines and muses on music. Like Mallory, the music I listen to will depend on my mood. If I want minimal distractions while typing, I'll have the classical music station on, or maybe soft jazz. Usually though, I'll have one of three stations tuned in. I'll start with Top Forty Hit List until some hip-hop or quasi rap song starts. I'm sorry, that is not music to me and I cannot function properly when it plays. Then I'll turn back to the Eighties channel, maybe the Seventies. At rare times I'll see what Soft Rock has to offer. At work, when I'm writing, I'll have on Classical-until NPR gets into it's morning drollness of news-or an Eighties station out of Des Moines. I mentioned my dislike of Rap, but, ironically, the beat of the music was the only kind I could study to in college. My neighbors across the hall usually had a station out of Iowa City tuned in. It played a constant beat for about five minutes, then switched to another constant beat. The bass throbbing through the door kept my mind focused. In my town, there is a souped-up Lincoln with Hot Wheels tires. I can tell the car is coming from half a mile away because it's playing some stupid piece of music at volume level twelve. In fact, I don't think the car actually uses gas; the pounding rhythm bounces the car along. But...I like to have the windows down and the volume up when a favorite rock song of mine plays, so I can't blame him too much. Well, I can, because I turn down my radio when the song is over. Country is good, but I'd rather listen to songs from twenty to fifty years ago. Hard rock doesn't impress me much; just a bunch of noise with no melody (maybe that’s just my age showing). There are a few 80’s bands I did enjoy, but I don't consider them really hard rock although others might. I won't even touch opera so don't even try to persuade me to listen. Big Band and Jazz are okay if it's the right artist and I'm in the right mood. 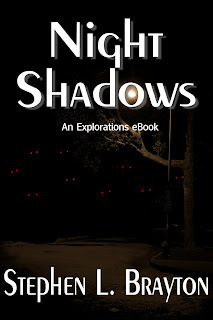 Stephen L. Brayton's website is http://stephenbrayton.com/ and his new book, NIGHT SHADOWS will be released on February 15, 2011. Readers are invited to attend an online launch party for the new reality show-themed mystery novel Sink or Swim, a book that former contestants of Survivor, the Amazing Race, and Big Brother have called "extremely well-written, suspenseful, and a great read." CSN Stores, which is comprised of over 200 specialized online stores that offer a wide variety of home goods from dinnerware, to laptop messenger bags, sofas and suitcases, will give away a $50 gift card on the author's web site, http://www.stacyjuba.com/ during a contest that will run from Feb. 6-14. In addition, from Feb. 8-13 visitors can also enter to win from 33 print books and e-books donated by nine authors. A blog post written by Stephenie LaGrossa, owner of GiGi Restaurant & Lounge, Philadelphia PA, television personality and fan favorite Survivor: Palau, Guatemala, Heroes vs. Villains, will kick off the festivities. LaGrossa was one of three former reality show contestants that endorsed the book, giving the comment, "Being on a hit reality show not once, but three times, made Sink or Swim really hit home for me… It was an easy read and extremely well written… I would love to see it come out as a movie one day.” Also endorsing the book were Michelle Costa, former contestant on Big Brother 10, and Shawne Morgan, former contestant on CBS’s The Amazing Race 16. Written by Stacy Juba, Sink or Swim follows personal trainer Cassidy Novak, who has gained fame for starring on a hit reality show. Not only does she lose and have to walk the plank, but upon returning home, Cassidy discovers she is being stalked. As her former competitors get killed off, Cassidy refuses to play by the stalker’s bizarre rules. She’s also being shadowed by photographer Zach Gallagher, who has been assigned to capture her personal moments for the local newspaper. She wants to trust Zach, but fears he may not be as nice as he seems. 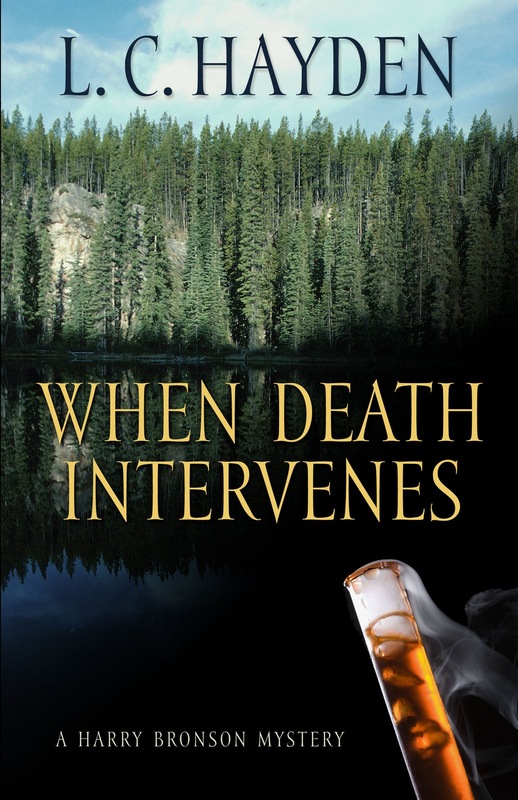 When the stalker forces a showdown, Cassidy must walk the plank again – this time for her life. The book was published in gift quality trade paperback from Mainly Murder Press and is also available in multiple $2.99 ebook formats including Kindle and Nook. Juba is also the author of the mystery novel Twenty-Five Years Ago Today, as well as the patriotic children’s picture book The Flag Keeper. 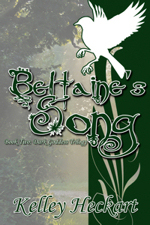 More information, including a book trailer, reviews, and book club discussion questions, is available at www.stacyjuba.com. 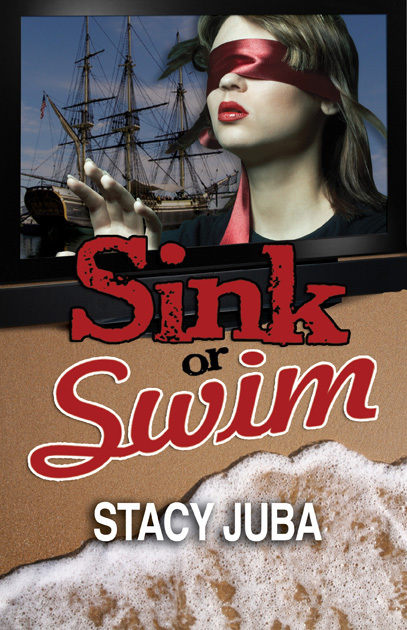 Juba has also launched an online version of the fictional reality show Sink or Swim on her blog, in which authors can enter their literary characters as contestants. The three characters that draw the most unique visitors at the end of the year will be declared the winners. There are many things that authors can do long before their book is released, but it is never too late to begin or enhance a marketing plan. My first suggestion is to get a great stack of paper to jot notes on. Personally, I reuse sheets of paper that have only been printed on one side. Make sure you have a couple of pens handy; using two colors is helpful for organizing and grouping ideas. Oh! – And have a thermos of any kind of refreshment you choose next to you, because this is going to take a while! ﻿ OK. Got all those? Now is the time to sit at your computer and scan through the last 6 months worth of the previous postings on every section of your favorite writer's forum and your publisher's author forum. It is important to read the messages with headings like "new author" because the actual message may have crucial information. I know, this sounds like a lot of reading, but you will get efficient at scanning messages and determining if they hold useful information without having to digest every single word. The reason for all this reading? You will learn about reviews, marketing, promotion materials, media kits, book production processes, resources, the publisher's policies, royalty information, distributor information... it is all there. With this information you can easily get a head start on your marketing plan. Another reason for doing this is to find reliable mentors in your field of interest. Effective, long-term networking through interacting with your peers on forums can easily lead up to exchanging of links, promotion materials and multi-author book events. These individuals will soon become your online friends who show up and support your media events, tell others about your work and will help you if they can. Of course, this means that you might have to offer something first to get the ball rolling for networking. Congratulations, a publisher has decided to contract your book. Now you can kick back and savor the moment, right? Think again. Once your book is contracted, the hard work has just begun. There is editing, more editing, filling out forms for the cover design, writing blurbs and telling everyone you know that you have a book coming out. An author has to work with representatives from the publishing company—the Senior Editor, the editor working on the book, the graphic artist designing the book cover, promotions people and accounting personnel that pay royalties. All of these people are there to help the author with the publishing process and one thing needs to be understood—they do not work for the author. They are your partners, working with the author to make the process as smooth as possible. Emails should always be professional. Leave out the emoticons and other unprofessional garbage. Remember that publishing is a business. Always use 'please' and 'thank-you' when writing an email to anyone at the publishing house. These two simple words can go a long way in making publishing life easier even if you, the author, are upset about something. The one huge mistake that newbie authors make with their publisher is to go in and start ordering people around, thinking that since they are a published author, they are so awesome that everyone must do their bidding. This kind of behavior will likely backfire and the author could end up getting blacklisted. No one wants to work with a difficult author. The publisher's employees are not the author's minions. The relationship between the author and publisher is a partnership. I cannot stress this point enough. If a new author thinks that publishing houses don't get together and talk about problem authors, think again. The publishing world really is a small world. Another point to remember is to refrain from posting negative things about a publisher online. The first thing a publisher will do before accepting a submission is to Google the author. If they see an author trashing a publisher (it doesn't matter why), they will think that author is unprofessional and difficult to work with. The submission, no matter how great it is, will likely land in the circular file cabinet or the recycle bin on the computer. Now, I know some people are reading this and saying, "Duh. This is common sense stuff." That's so true, but it still baffles me how many times I have seen an author bury themselves by trash talking a publisher or by being rude to the Senior Editor and making her/him mad. Just remember—an author is not irreplaceable. There are many talented writers out there and guess which ones will have a nice, long writing career and which ones won't? http://kelleysrealm.blogspot.com/ Check out my long hair hotties! You write mysteries (more than one series and standalones) and all kinds of other stuff. Give us the skinny on this. Although mysteries are my main love, I've also written several non-mysteries. When Angles Touch You and Bell Shaped Flowers are both inspirational novelettes. Sisters in Crime asked me to edit and compile Breaking and Entering, a book about writing, which is available through the Sisters in Crime website. My grandson started kindergarten this year, so I wrote a children's book which I hope will be released in time for me to visit his classroom and read it. It's called What Am I? What Am I? As far as mysteries are concerned, I'm the creator of the Harry Bronson mysteries, the Amiee Brant series, and what may be a standalone, Secrets of the Tunnels. 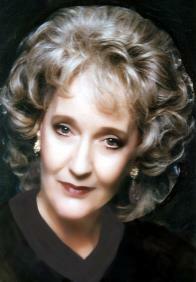 I have the first chapters of my published novels--ten so far--on my website. Please feel free to check them out at http://lchayden.com/. Do you recommend that beginning writers stick to one genre/format or do you think they should acquire experience writing in more than one genre/format? Why? At the very beginning of their writing careers, I'd advice writers to stick to one genre/format until they have perfected their art. Working with a single genre allows the writer to focus on that area until one day that writing will sparkle. At that time, if the author wants to, he can experiment with other formats/genres. In fact, I believe that will help him expand his writing abilities. What is the silliest “writer” question you’ve ever been asked? I feel there's no such thing. Authors, from beginners to advanced, need to know things and the only way is to ask--no matter how silly you think the question is, it should be asked. How important do you think setting is to a novel? Very important. If your story takes place in New York but can as easily be changed to Chicago or Los Angeles or Dallas or Tiny Town USA, then you haven't taken advantage of your setting. The setting, if properly used, can be--and should be--a protagonist. That's just one more way to add suspense to your writing. Let the setting be as important as a character. Make it an integral part of the story. Are you a proponent of outlining or do you write by the seat of your pants? I write by the seat of my pants, but lately, I've been debating how wise that is. I'm going to try very hard on the next book I write to outline--even if it's a brief outline. Reason? There's so many times I get my characters--mainly Bronson--in such a deep hole that they can't seem to get out. I have no idea where to go next and often the Dreaded Writers Block follows. Also, I have to go back and foreshadow and create several incidents that will make what I wrote toward the end of the book possible. Sometimes I fail to notice to plant these incidents then I often have major rewrites. So, now that I'm ready to write my next Harry Bronson mystery, I plan to begin by outlining. So far, it's been working but it's all in my mind. I have to put it down to make it official. Let's see how it works. How much of your personal experiences, and own personality, appear in your books? What advice can you offer new writers about this? We can't write from a void. What we write is based on experiences and most of those are based on personal experiences. True, none of us has committed murder (I hope! ), yet we write about murder. So, how does this relate to personal experiences? We base our murder scenes on what we have seen in movies, TV, or read about. We've talk to FBI agents, police officers, and other officials. They have provided material for us to use--but it's still based on the experiences we've had. We've added, deleted, and changed our work, our ideas, all based on what we know or what we have experienced. You mean not everybody does? Mine definitely involves my writing method. Although I love my computer, I still write all my manuscripts long hand. After revisions, I type the manuscript, but as I do, I’m typing in additional revisions. Next, I print out the manuscript, and once again, using long hand, I make any additional changes. Then I go back to the computer. As before, while typing, I’m revising. Then I repeat the entire process again--several times if I have to. Weird, huh? You’d think I’d do the whole thing in the computer since that’s where it's going to end up. But oh no, not me. I've got to hand write it—and it must be in blue ink. Red is for corrections while black is to work on the budget. Give me my blue and red pens.